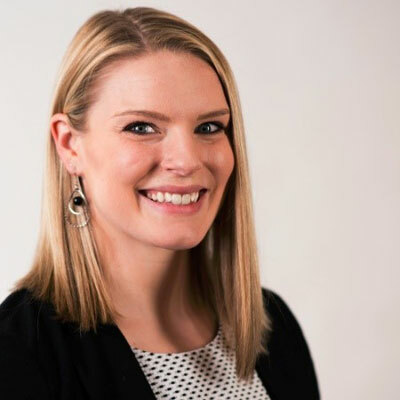 As Director of Channel Marketing & Communications, Katie Boeh contributes to APC by Schneider Electric's IT channel marketing strategy, managing internal and external communications for the IT Channel in North America. She is responsible for driving demand generation and brand loyalty for APC by Schneider Electric through the APC Channel Partner Program as well as channel marketing strategies and initiatives to and through various APC partners. Katie joined Schneider Electric in 2011 as an Inside Sales Representative, providing sales assistance to end-customers and partners. In 2012, she moved into Partner Development, assisting certified APC resellers and partners in growing their business with APC solutions. Katie has been in Channel Marketing since 2013, and became Director in 2016. In 2017 we made several improvements to our deal registration program, including a re-launch of an incentive which rewards partners with protected discounts for designing and deploying secure and connected physical infrastructure for edge deployments (utilizing our new Local Edge Configurator). The Edge IT Discount is very popular with partners, as the discounts are higher than traditional deal registration, and there are no revenue barriers. It helps our business because partners are encouraged to sell a full solution, not just a UPS - which in turn, helps their customers protect their critical compute and storage that is finding its way outside of the centralized data center. To continue improving our Opportunity Registration Program with more attractive discounts and a simplified structure and process. To bring awareness to our MSP community around our evolving cloud-based EcoStruxure IT software offerings, enabling them to monitor/manage customers' hybrid IT systems, identify leads among their existing clients and help them optimize their business with actionable insights - all helping them differentiate their business and add true consultative value. To grow the amount of solution providers using the Local Edge Configurator to design and deploy secure and connected physical infrastructure in distributed IT environments - keeping customers' critical data available and safe. • Women of the Channel 2017 (up and comer) • CRN 100 People You Don't Know But Should 2017 • Women in Schneider Electric (WiSE) - I was honored to be asked to be on a gender diversity panel in the West Kingston office for WiSE - a Business Resource Group we have at many locations in Schneider Electric (February 2018). It's hard not to admire Reese Witherspoon. She funded her production company with her own money against all advice, especially when she told people she wanted to produce all female-oriented projects. The people she sought advice from told her that no one would want to watch a movie with a strong female lead. Luckily, she did not heed their warnings and has gone on to produce Oscar-Winning material such as "Wild," and the 8 Emmy Award-Winning mini-series "Big Little Lies." Both are based on novels written by women, and focus on strong, smart, flawed, complex, beautiful female characters. Being happy is a decision, not a destination. Find joy in something every day, and don't waste ANY time or energy wishing you are something or someone that you're not. Focus on what is important, ignore what is not, and if you wish for anything, wish for the wisdom to know the difference. I don't know about one specific skill, but I'd love to continue expanding my knowledge and understanding of software. Not just ours, but all the big software players, what they do, how they do it, and how we integrate with them. Software is going to be such a huge part of our strategy, and the better I can understand it from our partners' perspectives, the better I'll be at selling, marketing, and developing channel programs around it. We're most successful when we learn to speak the language of the partner and their customers, not just focus inside-out. A Column of Fire by Ken Follett. It's actually the third in a trilogy. It's a historical fiction saga following the story of a town called Kingsbridge in England. This latest book takes place during the 16th century at the time of Queen Elizabeth's reign. What's most compelling about these novels are the characters. You find yourself getting very attached to them, and you find yourself hating the villains who would seek to destroy your favorite characters! I love historical fiction, and these books are just so well done!